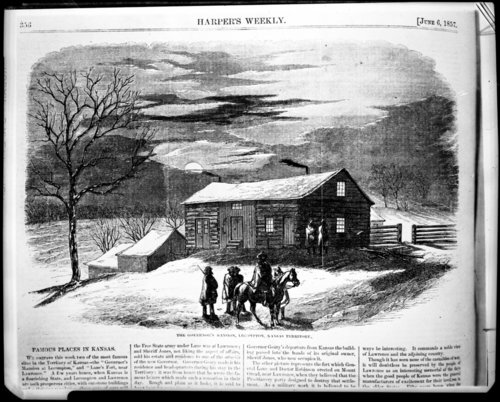 An illustration from Harper's Weekly titled "The Governor's Mansion, Lecompton, Kansas Territory." The mansion was a six-room log cabin that was built for Governor John W. Geary. People - Notable People - Geary, John W.